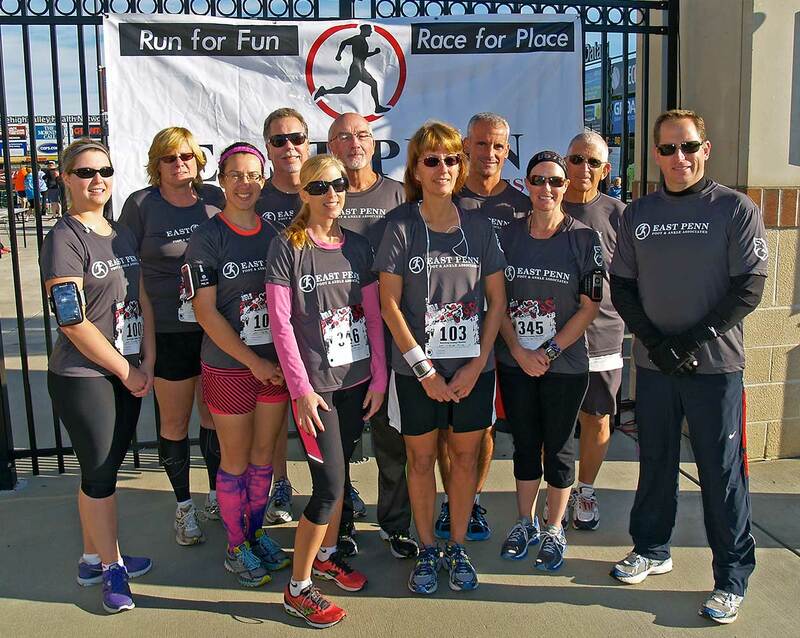 PA Foot and Ankle Associates is proud to once again sponsor the 3rd Annual iRUNpigs 5k and Piglet run September 14th, 2014 at Coca-Cola Park in Allentown. The race is open to runners, walkers and kids under 12 (Piglet run). Once again this year, PA Foot and Ankle Associates is assembling a team for the race. We’re looking for ten team members, each of whom will receive a complimentary registration, a really cool PA Foot and Ankle Associates tech shirt to wear the day of the race, and all of the swag in the standard registration package from the Lehigh Valley IronPigs: commemorative tech t-shirt, chip timing results via text message, and a free entry in an IronPigs team memorabilia raffle. There will also be prizes for overall male and female winners among age groups. The iRUNpigs5k has been redesigned for this year to insure a safer run for everyone. As always, the race will conclude on-field at Coca-Cola Park. Over 1,000 runners and walkers have taken part in the event since its 2012 debut. Pre-registration and online registration ends on Friday, September 5 at 11:59 p.m. If you miss the deadline, you can sign up at Coca-Cola Park on the day of the event. 100% of the proceeds benefit IronPigs Charities, a non-profit organization striving to provide educational and recreational opportunities for children in the Greater Lehigh Valley area.